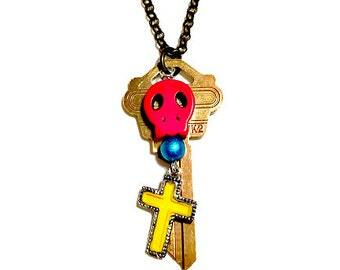 Antique key necklace statement or skeleton key charm necklace made with vintage button and beads in rustic earthy colors featuring a genuine antique brass key wrapped in scrap fabric with a teal heart. 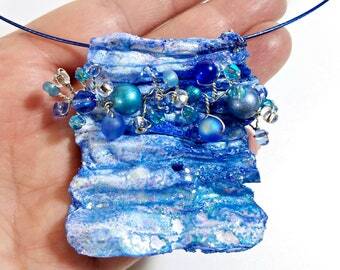 This is a unique, one-of-a-kind charm necklace that no one else will have! 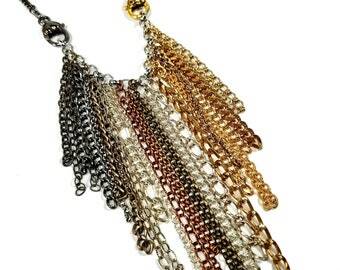 It is about 24" long and has an artsy, Boho or rustic feel that would look great over a plain top or sweater. 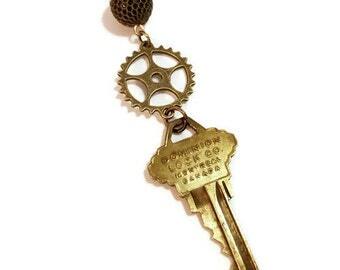 Key is 3 1/2" long. 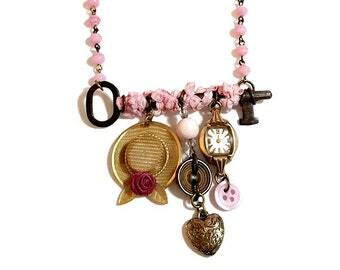 - One-of-a-kind design you will not see this charm necklace on anyone else! 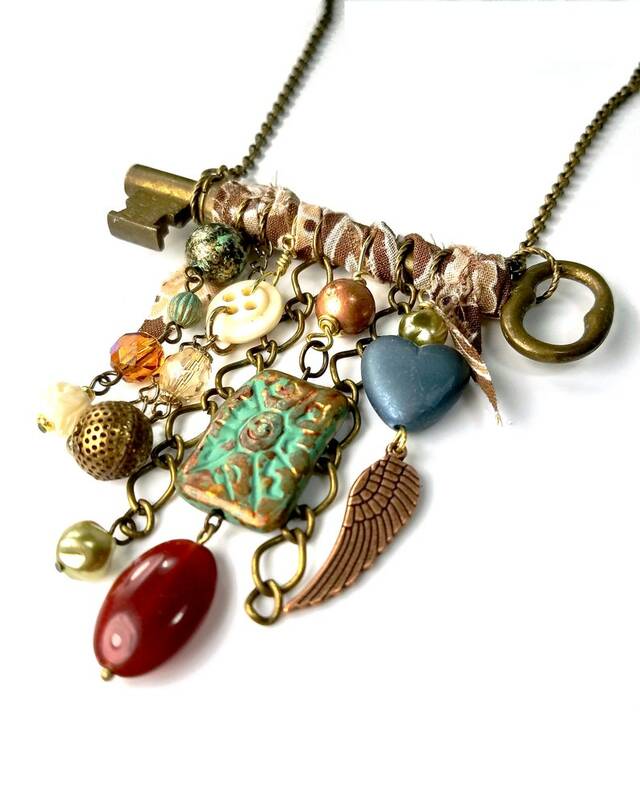 - Handmade in USA by Seattle artist, feel great wearing and supporting handmade! 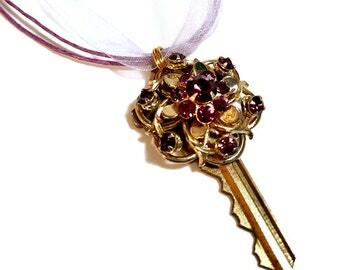 - Your antique key necklace will arrive in a decorative box ready for gift giving. Your satisfaction is guaranteed, CLICK the "add to cart" now or heart to "favorite", thanks! 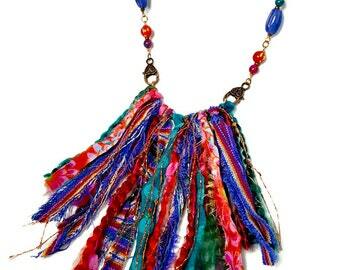 Fabric Statement Necklace, Colorful Statement Necklace, Artsy Jewelry, Fiber Art, Fabric Jewelry, Jewel Tones, Boho, Tribal, LONG or SHORT!